Dr. Amit Singh. Photo courtesy of Edmonds Community College. From an Edmonds Community College news release. Edmonds Community College’s new president has a vision for the college: To make Edmonds Community College the school of choice for the Puget Sound region. 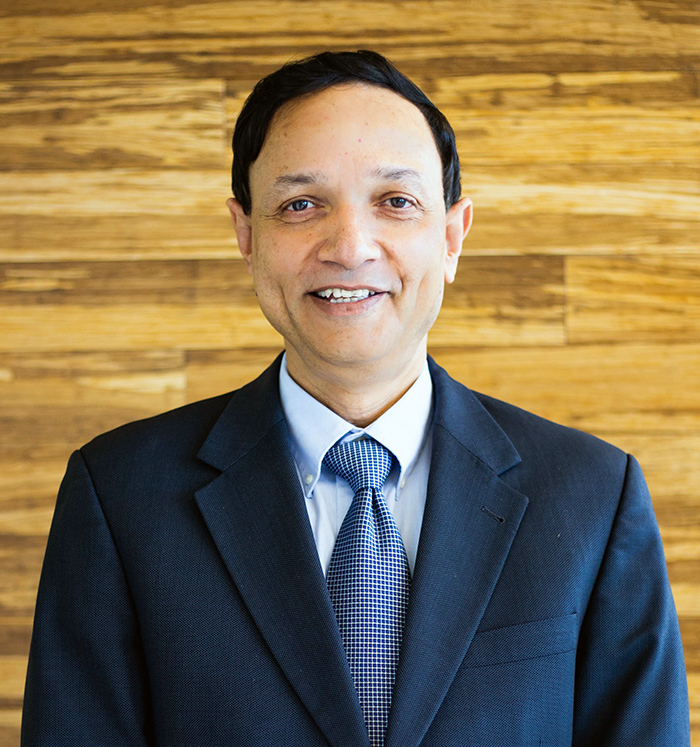 “It’s a broad vision,” said Dr. Amit Singh, Edmonds Community College’s fifth president. He thinks the college and the region are uniquely positioned – geographically and economically – to serve the needs of students, the community, and local industry. Singh envisions forming long-term, transformative partnerships that will benefit both the college and its students, and the region, which is booming. The Puget Sound Regional Council has projected the region to grow by about 1.8 million people between now and 2050, and about 1.2 million jobs will be created. Many of the jobs will require workforce skills in Science, Technology, Engineering, and Math (STEM). Singh said the college is also expanding to meet workforce needs with the addition of a new $48.3 million state-of-the-art Science, Engineering, and Technology building for training students for high-demand, high-wage jobs. Since taking office June 25, 2018, Singh has made it his priority to learn about the college and the community. Singh is impressed with Edmonds CC’s welcoming and diverse campus, employees, and commitment to student success and sees these as strengths to build on. Board of Trustees Chair Dr. Tia Benson Tolle said Singh is dedicated to furthering the college’s mission. “With his proven leadership in higher education and steadfast commitment to student success, Edmonds Community College will continue to be a regional leader in educating and preparing students for their future success,” Benson Tolle said. The community’s support of the college is evident to Singh. He attended the Edmonds Community College Foundation auction and gala in May 2018 and saw the generous support of donors who gave more than $340,000 toward student scholarships. Singh is excited to explore not only his new campus community, but all the Puget Sound region has to offer. Singh lives in Mukilteo with his wife and nine-year-old daughter. Their son, 20, is studying computer science at Ohio State University and will graduate in December.